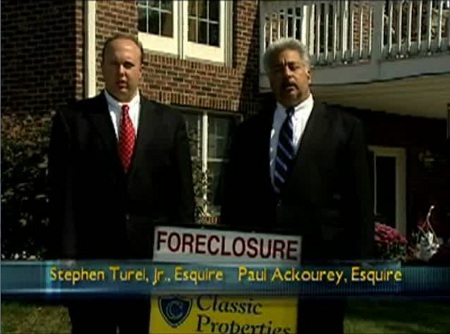 With over thirty years of combined legal experience, the lawyers at Ackourey & Turel P.C. have successfully helped individual debtors, throughout Northeastern Pennsylvania, file for Bankruptcy relief and obtain a fresh start. Our firm treats every client with the utmost respect and diligently works to provide our clients with the best results throughout the Bankruptcy process. The lawyers at Ackourey & Turel P.C. have saved individuals from losing their homes or automobiles through the filing of a Bankruptcy petition. Some of our clients have eliminated all of their unsecured debt. Other clients have been able to surrender property through the Bankruptcy process eliminating a severe financial burden.